Nowadays, flying a drone isn’t just for fun. In fact, data on annual drone sales have shown that a huge portion of the drones being purchased is meant to be used for commercial drone applications. With modern drones adding more and more capabilities, the possibilities for commercial drone use will only continue to grow. However, flying a drone to earn some extra cash isn’t as simple as buying a drone and outright offering your services. One of the major requirements is to get a remote pilot certificate or a Part 107 drone license. 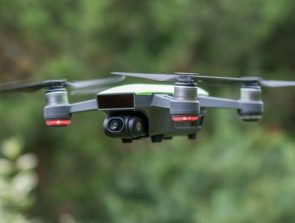 What is this drone license and how do you go about getting one? How long does it take to get a drone license and how much will it cost? 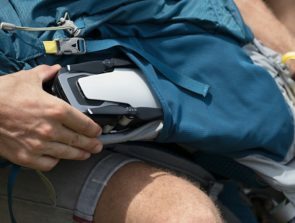 What is the Part 107 drone license? On June 2016, the first national regulations concerning the use of Small Unmanned Aerial Systems (UAS) were implemented by the Department of Transportation (DOT) and the Federal Aviation Administration (FAA). These regulations were called “Part 107” in short-hand and were contained in a 624-page publication. Most of the rules under Part 107 are relevant to commercial drone applications, although some of them overlap with general guidelines on drone use of any kind. One of the new requirements under Part 107 is for commercial drone pilots to get a remote pilot certificate, or drone license before they can start flying their drones for commercial purposes. 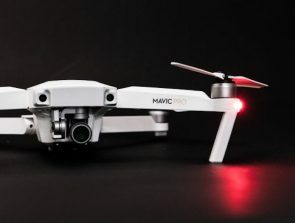 In this context, commercial drone use refers to services rendered using drones or products (data, photos, videos) that were collected using drones that are offered in exchange for cash or are used in aid of any business. While it’s possible for a commercial drone flight to be conducted by a pilot that does not have a drone license, it has to be done under the supervision of a duly licensed drone pilot. How do I get a drone license? The process of getting a drone license is pretty straightforward, but it involves a good amount of effort and possibly even significant financial investment. The biggest hurdle to getting the drone license is the Part 107 knowledge test, a 60-item multiple choice test that covers several knowledge areas that the FAA deems to be important for drone pilots. To qualify for the drone license, the testee needs to get at least 70% of the answers correct. Each test pulls a random set of questions from a collective pool, ensuring that the knowledge test is unique for each drone pilot. The topics that the test covers go way beyond what is considered common knowledge. To pass the test, you will need to know about airspace classifications, radio communication standards, meteorology, and drone loading and performance, among others. Most people who have taken the knowledge test recommend spending at least 20 hours of focused studying to have a good chance of passing the test. It’s certainly not something you would want to cram. If you want to have a serious go at getting a drone license, you will need to spend at least an entire weekend of serious preparation. How do I sign up for the knowledge test? Signing up for the knowledge test is as simple as contacting any one of almost 700 FAA-authorized testing centers all over the US. The good thing about having this many testing centers is that there’s bound to be one located very near you. Take note that you’ll need to pay the $150 testing fee and show a valid government-issued ID before you will be allowed to take the test. Most people who have taken the Part 107 knowledge test recommend committing at least 12 to 15 hours of focused study time to have a good chance of passing. Although it’s still possible to breeze through all the topics within 8 to 10 hours, we find that knowledge retention tends to suffer when too little time is spent studying. We also recommend that you go through the study period just a week or two before the schedule of your test, just so the knowledge will still be fresh by the time your testing date arrives. Even if you’re not willing to spend a dime on paid Part 107 training courses, there are still dozens of study materials that you can access from various websites. Even the FAA has provided a free study guide, although we find it a bit too technical and hard to follow. 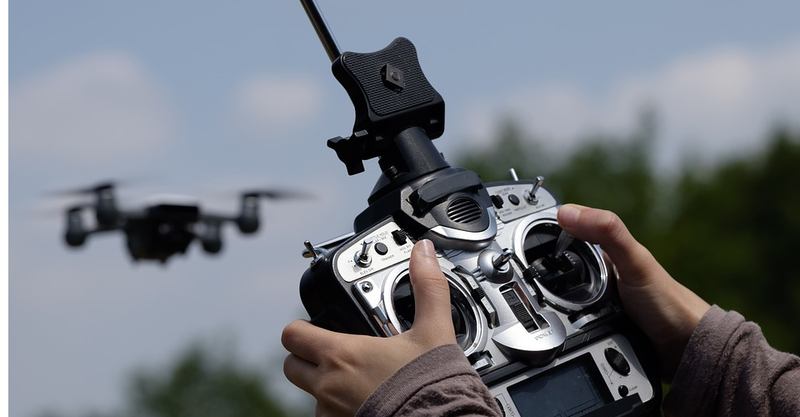 If you’ve got cash that you’re willing to spend to increase your chances of passing the test, then you can choose among an array of excellent paid Part 107 training courses, such as the ones being offered by Drone Launch Academy and the Drone Pilot Ground School. Whether you’re the type of person who thrives on reading long texts or on watching instructional videos, there is certainly a resource out there that will work for you. The Airman Knowledge Testing Supplement Book is pretty much the most important single book that you need to learn how to use before you take the Part 107 test. A copy of this book will be provided to you during the test which you will use as a reference for figures, charts, and maps as well as the various map symbols and legend. Just knowing where to look for these figures in the book will save you a ton of time while you are taking the test. You are given two hours to finish the knowledge test. However, most people who have completed the test claimed to have finished in just about an hour. This means that there’s very little time pressure – you have more than enough time to go through all your answers again. What happens after I pass the test? After you have completed the test, your results will be uploaded to the FAA website within 48 to 72 hours. At this point, you should be able to know whether you have passed or failed the knowledge test. If you have passed, then congratulations! Just take note of the code from successful test results for the next steps in the process. You can then proceed to apply for the remote pilot certificate via the FAA’s online Integrated Airman Certification and Rating Application (IACRA) system. Once you have created an account on the website, you simply have to input the code from your results to apply for the certificate. Before you can be granted the license, you will have to undergo a background check by the TSA. Nobody knows exactly what the TSA looks for or how they conduct the background check – they aren’t exactly known for transparency. You might want to avoid having any red flags such as criminal records or a history of drug and alcohol abuse. Based on the experience of Part 107 license holders, clearing the TSA background check can take between a few days to several weeks. Once the TSA has finished with their background check, you should receive a temporary certificate by email. This temporary certificate is only valid for 120 days, but you should receive your permanent certificate by regular mail within the same period. Depending on where you are residing, the mailing process can take between a month or two. 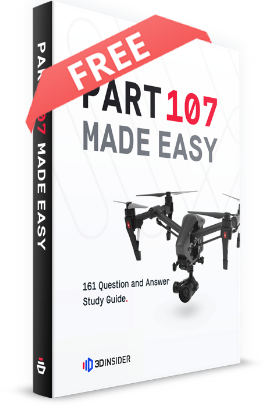 Don’t fret – the FAA allows all aspiring drone pilots to take the Part 107 knowledge test as many times as they want to. However, an applicant can only take the test after 14 calendar days have passed from the previous attempt. The $150 testing fee is non-refundable, so repeatedly taking the test could prove costly in the long run. Our advice is to give it your best shot the first time around, so you don’t end up spending any more than what’s necessary. I’ve got my drone license! Now what? Having a Part 107 drone license means having the responsibility of flying under Part 107 rules whenever you fly your drone commercially. There are a bunch of restrictions, such as not being able to fly during night, over crowded areas, or from a moving vehicle. You also need to keep detailed logs of all your flight activities and to report any drone-related accidents that result in significant property damage or personal injury. It sounds like a lot of work but trust us when we say that being a Part 107-licensed drone pilot is going to look really good on your calling card. In any case, if you’re flying a drone commercially, then you literally have no choice but to get the drone license – it’s the law. 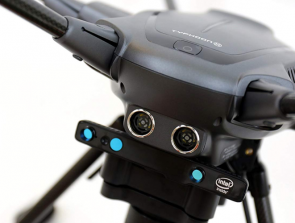 The requirement for commercial drone pilots to get a Part 107 drone license is one of the major efforts that the FAA has undertaken to standardize drone flight. This has become an increasingly pressing matter in the last couple of years, considering how many drones have been used for commercial use. This is a trend that we expect to continue. After all, drones are becoming even more capable and yet, also more affordable. If drones are going to become significant elements of national airspace, then we agree that they need to be regulated. Although the rules under Part 107 can feel restrictive at times, we expect these rules to evolve in time along with improving drone technology and drone pilot education.